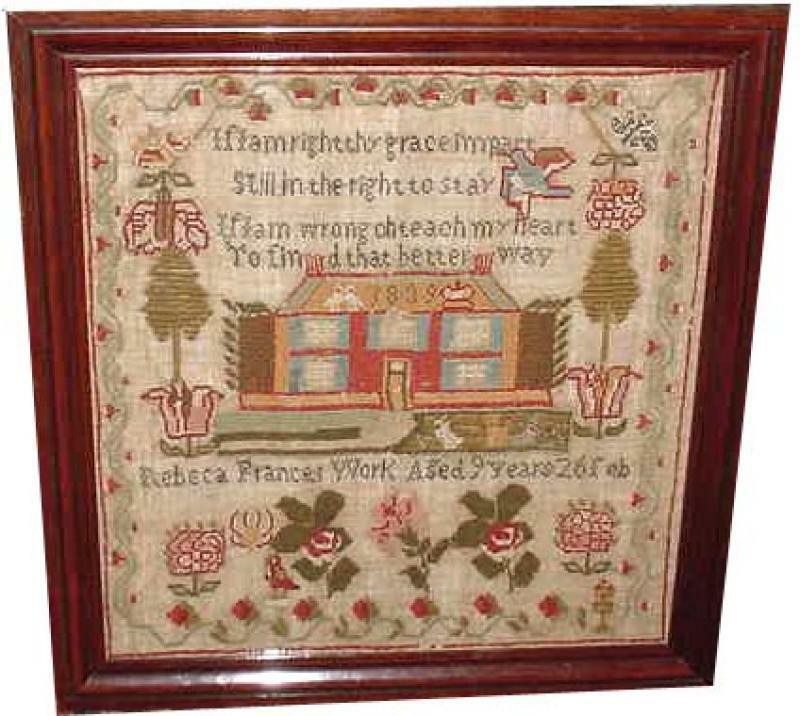 Rebeca sewed this sentiment "If I am right thy grace impart,| still in the right to stay, if I am wrong oh teach my heart to find that better way" She signed and dated it Rebeca Frances Work aged 9, Feb. 26, 1839. A note accompanying it states she travelled to the U.S. from England several years before undertaking this charming sampler. The colors remain brilliant in wool on a linen background in a walnut frame..